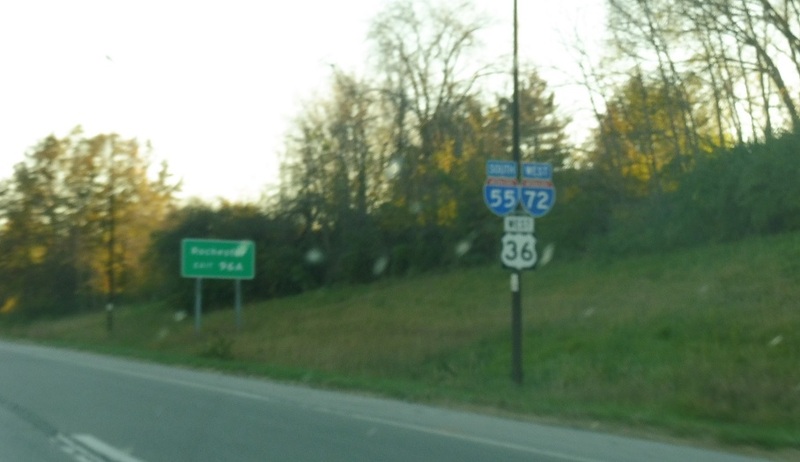 Reassurance shield as I-72 and US 36 join I-55. 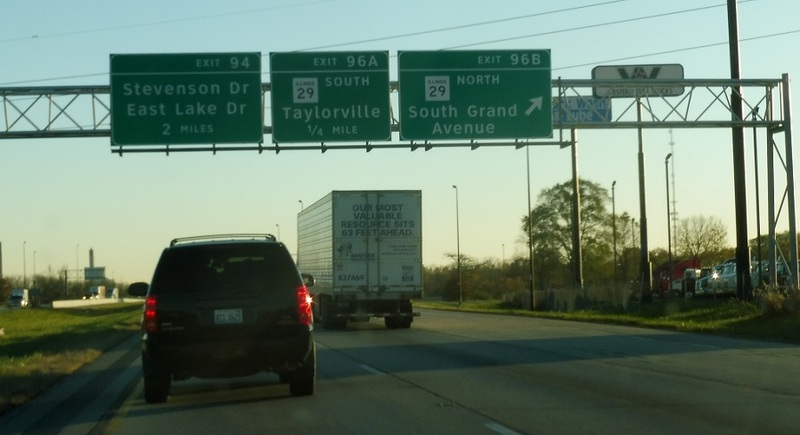 In a quarter mile we’ll approach Illinois 29. 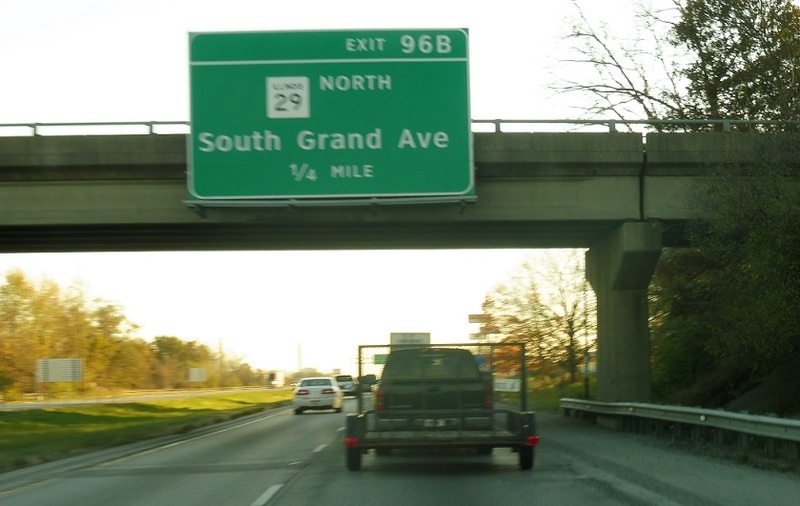 Exit for Illinois 29 north. 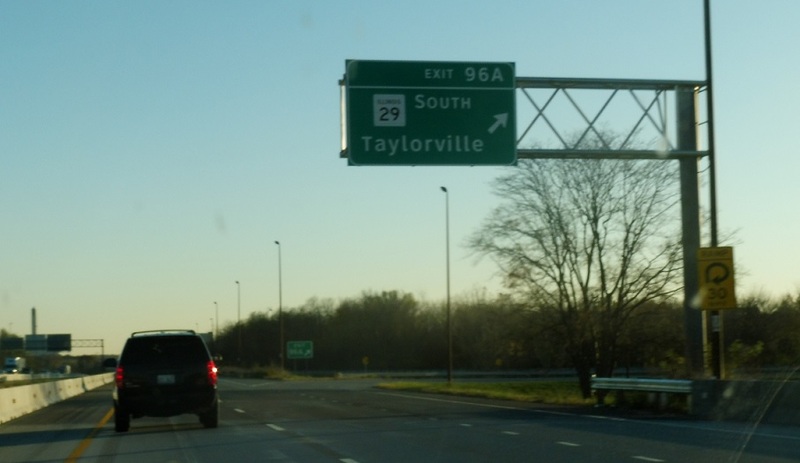 Follow 29 south to Taylorville.